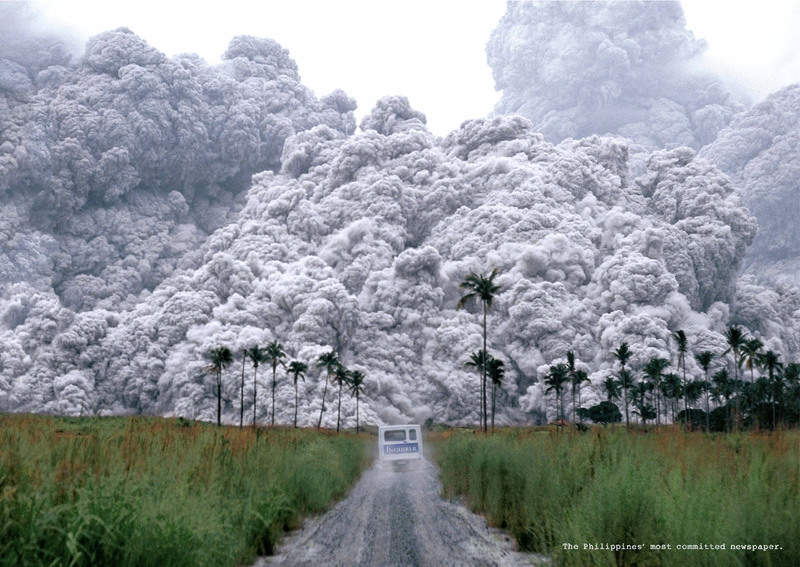 Philippine Daily Inquirer drew attention to its journalism with “Volcanic Ash”, an outdoor billboard featuring a vehicle driving towards a landscape covered by a huge plume of smoke and ash. The text: “The Philippines Most Committed Newspaper.” The Volcanic Ash advertisement won a Bronze award at Cannes 2006 and Clio 2007. Photographers were Alberto Garcia, Ruben dela Cruz via Corbis Images and Visual Camp. Studio artist was Eloi Aranzamendez.